April 1746 was a cruel month in the history of the Highlands. Over a thousand men lay dead on Culloden Moor, their lives a sacrifice to the broken dream of Prince Charles Edward Stewart. Little mercy was shown to the survivors. Those who were lucky enough to escape the massacre began to limp homeward, wounded and heartsore, dreading the inevitable retribution. 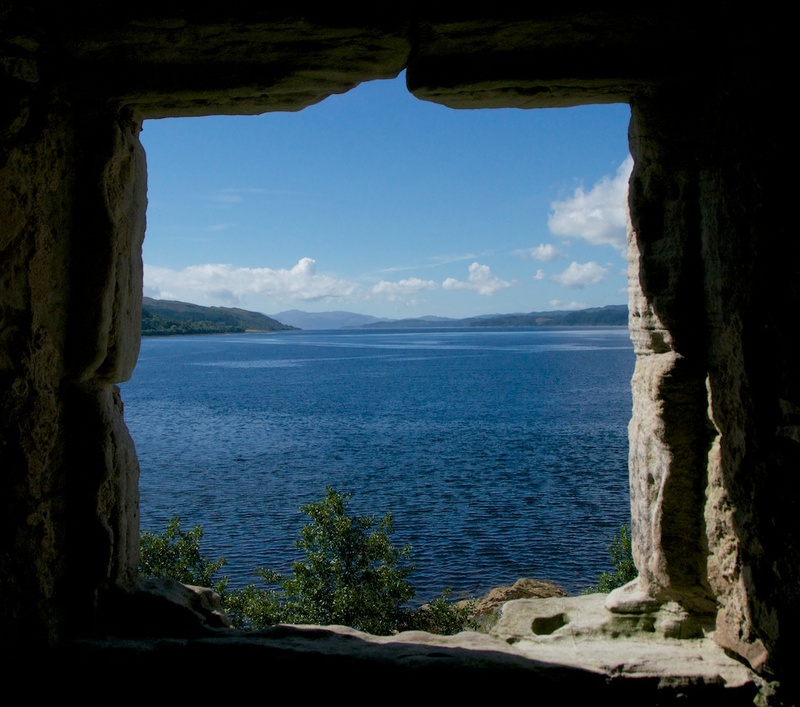 In Strathlachlan, where so many men had answered the Jacobite call, a watch was being kept for the return of the Maclachlan chief and his followers; but when a riderless horse swam across the loch to Castle Lachlan, they knew that all was lost. The clan had a long history of support for the ‘Prince over the Water’ and his father before him. Maclachlans are said to have fought alongside Viscount Dundee at Killiecrankie in 1689, and the Earl of Mar led them into battle at Sheriffmuir in 1715. Thirty years later, hopes were rising of the Young Pretender’s imminent arrival on Scottish soil. 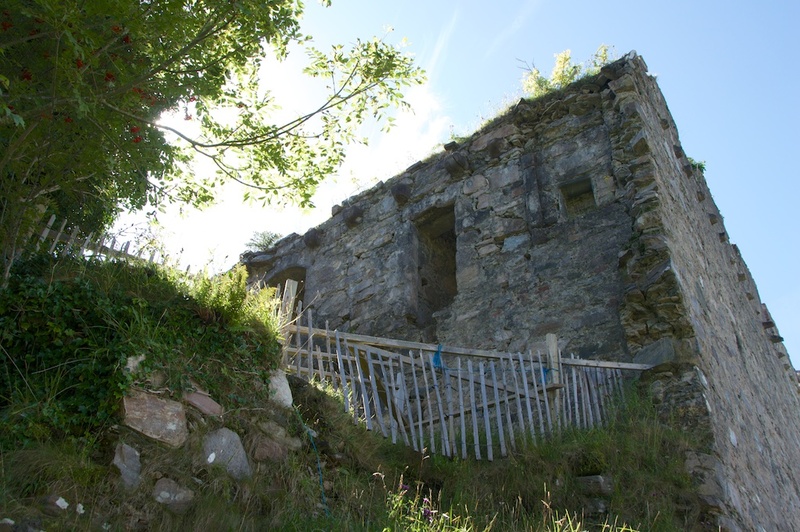 No doubt aware that the future of Scotland lay in the balance, the 17th Maclachlan chief went down to the cellars of his castle to seek an interview with Master Harry, the ‘brounie’ or house goblin of Castle Lachlan. The brounie had a reputation for mischief but he was a loyal guardian of the clan, and the Chief was alarmed to find him in great distress. Master Harry told him that a stranger had appeared in the north, and that he would lead the Chief to his own death. Maclachlan knew without a doubt what this meant: the Prince had come. Shortly afterwards, when Charles Edward Stuart unfurled his banner on the shore of Glen Shiel, the Highland clans were faced with a momentous choice. Many were ‘out’ for the Prince, while some wavered, doubting the chances of success and keenly aware of the possible consequences. Others ranged themselves on the side of George II, causing rifts between friends, neighbours and even families. For Lachlan Maclachlan there could only be one option, and he raised his men to fight for the Jacobite cause. He knew that the stakes were high: one story says that he stopped to pray at the chapel of Killevin on his way north, and when he re-mounted his horse it became restless and turned around three times widdershins (anti-clockwise). With this sign, and remembering the ominous words of the brounie, he knew he would never return to Strathlachlan. After Culloden, retaliation came swiftly. 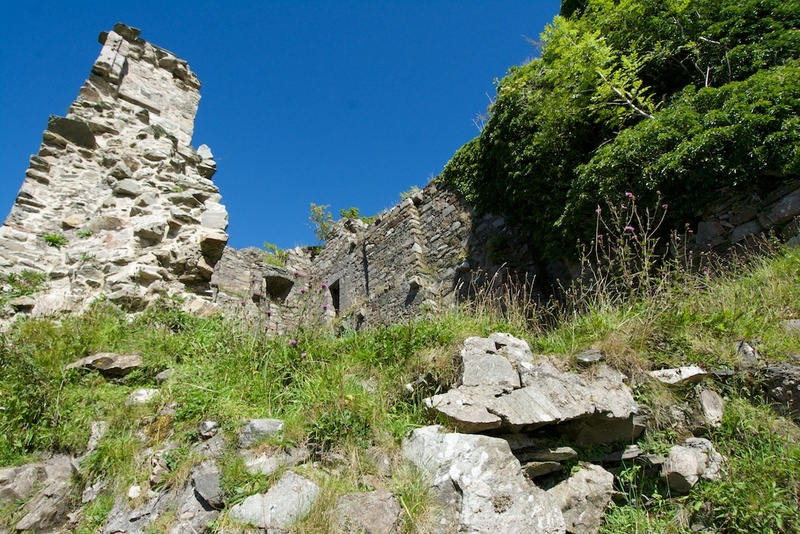 Castle Lachlan, which had been taken over by government soldiers, was abandoned and fell into ruin. There is uncertainty about whether it was attacked; one story tells of a warship sailing up the loch and bombarding it with cannon fire. But it was never inhabited again… except by the Chief’s horse, which, having made it safely home, refused to be moved from the stables. Even after it had died, there were stories that it could be glimpsed at night around the castle, and people claimed to hear it whinnying in the hollow chambers. It would be nice to think that it had carried home the spirit of its master, Lachlan Maclachlan, who had given his life on Culloden Moor. 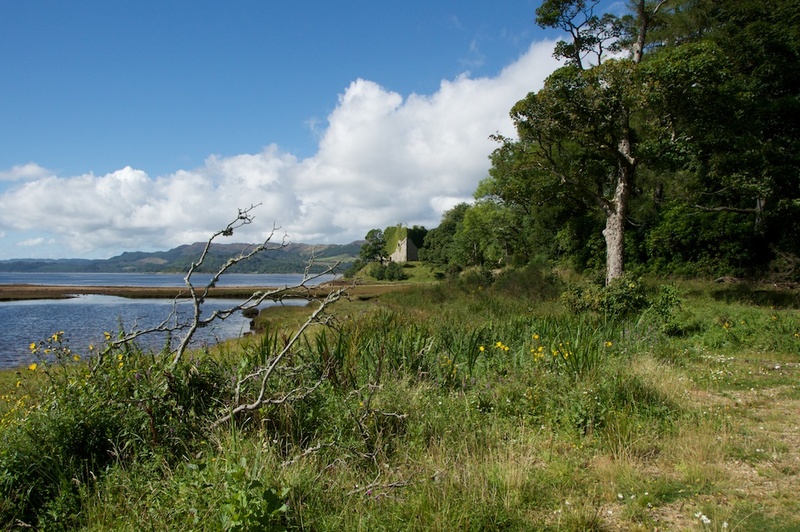 The Strathlachlan River flows into Loch Fyne, a long tidal loch that stretches right down past Lochgilphead towards Knapdale and Kintyre. A bridge and boardwalk lead you over the river and across to the castle on its low rocky knoll. For the last hundred yards or so you are walking beneath ash, aspen, rowan, and finally a cathedral of lime trees, so dense that the sunlight is filtered down in shades of green. 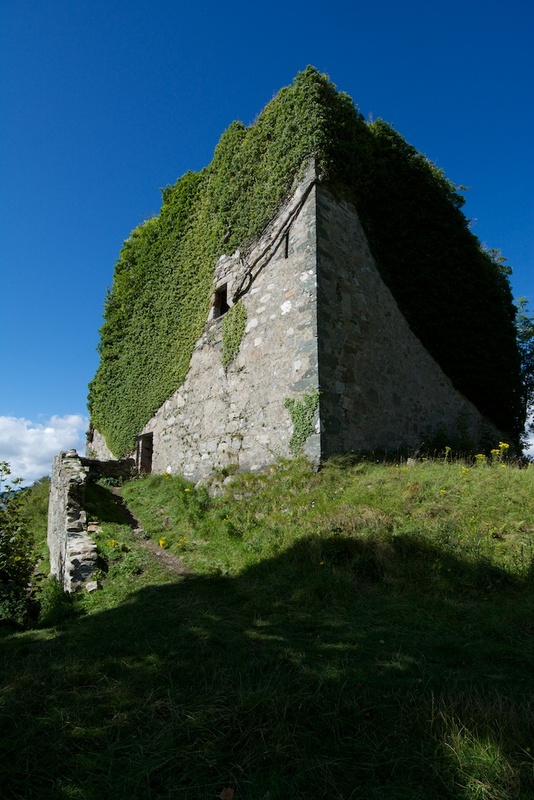 From the outside Castle Lachlan looks like a square tower house, but inside it was divided into two parts, separated by a small courtyard. One block had kitchens and store rooms, with a great hall and solar* above, while on the other side were further living quarters. The views down the loch must have been impressive in all seasons, and especially so in autumn, but I hope they had the fires roaring when the cold mists came up from the sea. *In medieval castles the solar was the private chamber of the lord and lady of the castle, usually on an upper floor. I’m guessing it may have had south-facing windows, and it probably had more light than downstairs rooms. 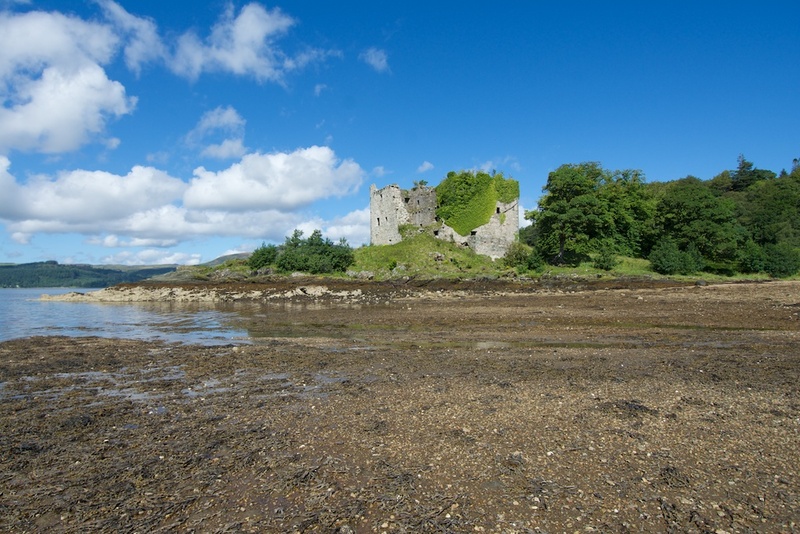 One of the oldest Scottish Highland clans, the Maclachlans are descended from Lachlan Mor, a powerful chieftain who lived on the shores of Loch Fyne in the 13th century. An alternative spelling is MacLaughlin, and the clan includes families named Claflin, Ewan, Ewing, Gilchrist, Lachlan and MacEwan. 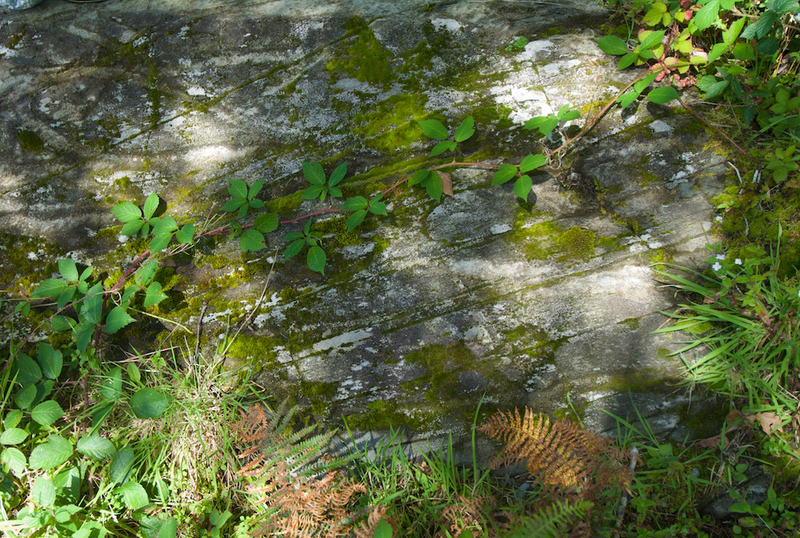 The traditional burial ground of the Maclachlans of Strathlachlan is Kilmorie Chapel. New Castle Lachlan: In the late 18th century a new castle was built a little further up the strath, and this is still the traditional home of the Maclachlan clan chief. A tragic tale and a beautiful ruin. I don’t think I’ve ever heard of a ghost horse before. At least not one that acted independent of a rider. I hope the poor creature has found some peace. Nor have I heard of a house goblin. I’m really going to have to see what I can find out about that amazing being. Thanks for a good story and pictures. Thanks, Pat! It’s a lovely tale. I’ve come across a couple of castles that are said to have a ‘brounie’. In this case it seems to be a kind of ancestral spirit, like a clan guardian. Beautiful photos and an excellent and fascinating narrative! What a proud and wonderful history! Thank you! 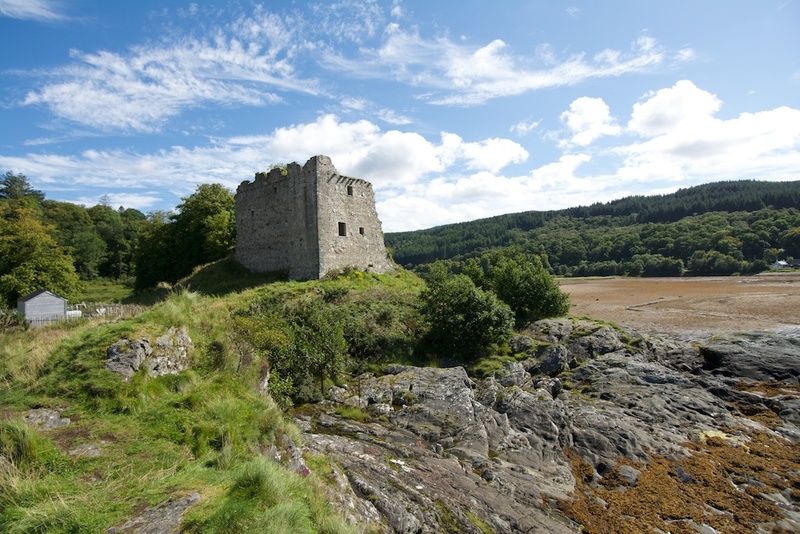 The history of Scotland’s clans and castles is so complex and so full of legends. I love it all! Another fascinating piece, Jo. It’s hard to imagine all the bloodshed and strife when you look at those gorgeous pictures with blue skies and dramatic scenery. A night in the castle. What a post that would make! Another wonderful, though sad, story. I love reading them and traveling around Scotland on your shoulders. Thank you so much for sharing!! Excellent article as usual Joanne, thanks. Thank you, Lawrence! I loved the story of the brounie and the horse. By my calculation (and looking at a genealogy website) I believe Maclachan would have been approaching 70 by the time he went off to Culloden. Thank you, Andy! 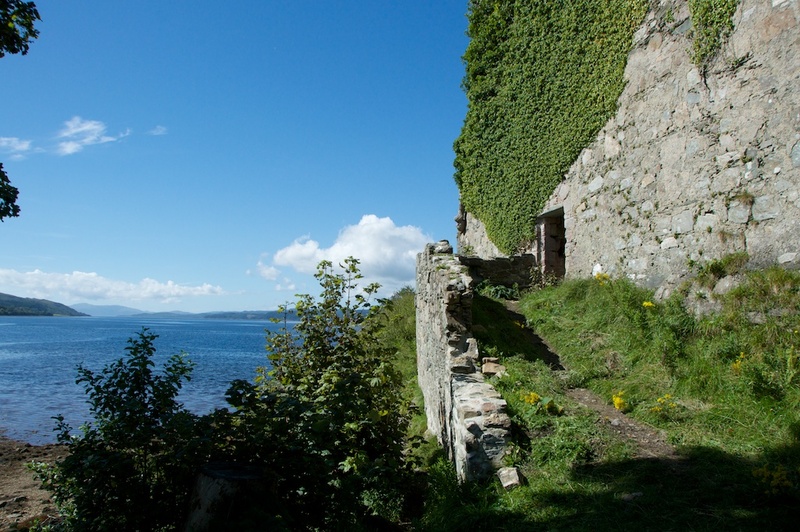 Fabulous place to explore, and the views down to the Kyles of Bute and across to Arran were amazing. Thank you for the trip around another Scottish castle, and the sad history, with stunning pictures. Lang may yer lum reek.